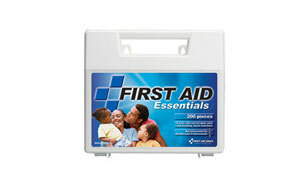 Small / Medium all purpose 200 piece first aid kit.Convenient for the home, auto, sports. This first aid kit features new compartmental organizers that keep your supplies readily at hand. This first aid kit makes a great gift item.